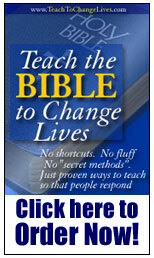 This is the latest version of the Inspirational Bible Verses website. In the weblog, you will find a number of collections of thoughts inspired by different Bible verses I have collected over the years. At present, I'm in the middle of consolidating my work from a number of different blogs and re-categorising the material there. Once that is complete, I will then upload a selection of brand new ebooks and add some extra links to useful websites. Acts ch.1 v.8 contains an important promise with a purpose to it. Jesus has a gift for His disciples: power! But not just any old inspiration - this power will transform them into courageous partners with Him in the important task of sharing the good news of His resurrection; first with their neighbours, ultimately to the ends of the earth. The nature of what they experience convinces them that this is something He has promised for all - see Acts ch.2 v.39 - not merely a special, selected few or to people of a mysterious golden age; for everyone. This includes you and me. This promise of supernatural power is valid for us today. All we need to do is experience His Holy Spirit filling, cleansing, renewing and transforming us - now. But there is a price. With the promised gift comes a renewal of purpose, a change of direction. We are empowered to serve the Knig of kings; not to remain in idleness. Hebrews ch.4 v.12-13 this isn't an isolated reference to the word of God, a new and startling teaching. Instead it's a theme that runs right through both the Old and New Testaments. Zechariah ch.4 v.10 - an old missionary friend once told me. "You know when there aren't many people in a church meeting. You could be blind, and still not miss the hint. It's when a deacon stands up and prays 'Whenever two or three are gathered in my name...' at that point you don't need to look round to see the empty seats behind you!" Zechariah ch.4 v.10 is like that. We all like to quote verse 6. 'Not by might, nor by power but by my Spirit' says the Lord - it's comforting because it relieves us of responsibility. But verse 10 is even better. We don't need to organise something big and impressive. If our big plans come to nothing, we can just smile and relax and say to eachother, "Well, as the Good Book says - do not despise the day of small beginnings..."
Behind all the game-playing here I have two important points to make. The angel speaking to Zechariah is not giving us a couple of monumental cop-out verses here. He is laying down two essential principles that we dare not forget. First of all - as His work is conducted through the power and person of His Holy Spirit, we have a holy obligation to develop our relationship with Him in order to be able to work alongside Him. To do otherwise is to risk the probability that He will work despite us and in opposition to us in order to achieve His purpose. Secondly - small beginnings do not stay small. There is a natural progression. We're reminded of this clearly through the incarnation. The Creator of the Universe Himself dwells amongst us, taking on human form in order to redeem us. But He does this by entering our world as a baby who grows into manhood. Abraham was just one man when God confronted him with a vision of what He could do, starting with a small beginning, ending with a family of faith whose members would be so numerous, they could not be easily counted. A small beginning leads to a glorious end. But, as Abraham discovered, there are no short-cuts. From a small beginning, there is organic growth - not mere enlargement through being forced out of its correct time and season. But that growth will amaze and startle those who did not think it possible, and bring joy to those who know that the Lord who inspired the Bible will be faithful in seeing His word fulfilled in the way He promised. In Matthew ch.28 v.20, Jesus promises His disciples that He will be with them - even to the end of the Age. We too count ourselves as disciples, therefore the same promise of His presence is one that we can rely on. In practical terms, it is through the presence of His Holy Spirit working through each of us, making us more like Him that this promise is fulfilled on a daily basis for us. Firstly, we have an automatic right of access into God's presence at any time. We do not need to wait for specific holy days or rely on intermediaries. The honour is ours. Secondly, we have a helper, constantly by our side. There is therefore an answer to any fear we feel rising up. It can be dealt with swiftly, because Jesus is bigger than any problem we could ever face. There's an awful lot to unpack here. The first keyword here is trust - the basis of a relationship of faith. Secondly, the degree of trust is to be absolute. Partial trust has a limit - beyond which we reveal the depth of our unbelief. A partial trust lmits our concept of the faithfulness and infinite power of an all-loving God. This is where the contrast lies - the point that the writer is trying to make us understand. We're not called to be mindless zombies denying reality in a vain attempt to force the universe to be a nicer place. But when we're in a position where we have a clear choice between relying on our limited view of a difficult situation, or trusting in the benevolence of a faithful God to reveal His will to us, the spiritual response will be the practical way forward. Positive Bible Verses to Bring About Change? To him there was a confidence welling up inside - it came as a direct result of his relationship with God. He was supremely confident that our Father is able to deliver on the many promises He has made because of what he had already experienced. God has not changed. We are in the same position today. Rather than merely speaking empty words, we too can use our Bibles, allowing the Holy Spirit to bring alive to us the passages that He would use to challenge our perspective on our circumstances. Letting God speak to us directly from His word, allowing Him to change our attitudes, focus our attention on what really matters, giving us direction and purpose is not an optional extra. It is a prerequisite for the next step in our spiritual journey. For once we are convinced of the truth of what God has said about us, and are absolutely certain of His trustworthiness and his ability to faithfully bring about all He has promised; it is then natural for us to see and speak about this truth - not to force it mystically into being - but to acknowledge its reality.